We believe in process that can be helped the customers to cut cost, improve quality and plan ahead of among competitors. 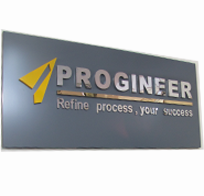 PROGINEER helps customers to do business better leveraging our industry-wide experience, deep technology expertise, international recognized governance process, comprehensive portfolio of services and a vertically aligned business model. There is no limit on emerging technologies to reinforce for business success in anyhow and in anytime. Our employees have the ability to demonstrate adaptability and flexibility in our operations to suit the dynamic needs of our customers. 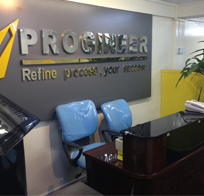 PROGINEER's approach addresses the key issues of transition management and operational efficiency improvement. We are not only support your requirement but also educate on your business flow in efficient way base on our experience from different Industries. We believe in trust relationship as nothing is important for us rather than gaining the customer’s trust. Once we committed, we will never stop to achieve the result even it is beyond our limit. In that way, we will stay in customer’s heart with trust. We strongly accept ourselves as professional. We maintain our ethic. We will never keep hidden agenda which can be hindered client’s business success. We are applying the following methodologies to address the issues in effective way. Our main object is to deliver the solution with the best quality so there is no negligence when performing services regardless it is big or small. Our domain knowledge can give you the positive business input more than your expectation and solve all show stopper in progressing mode. We allocate our resources according to the project requirement so you don't need to worry for supporting perspective. 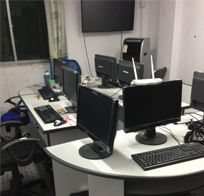 We bear in mind for project triangle such as Scope, Quality and Schedule so there won't be any delay on delivery. We focus on customer's issues rather than our availability to make sure that we are always with customers. We develop our very own tools to address the solution in innovative way so it can be saved a lot of time if any critical issues. Support Contract terms is on customer's choice so it is fit with the requirements and can be saved money and time. We are using international recognized standard process and methodologies so our systematic approach will never fail for solution.